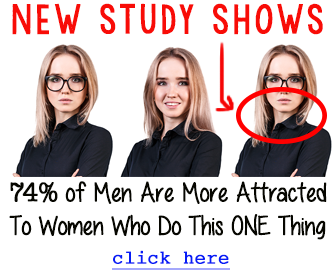 Are you running a little low on cash, but still want to impress a woman? Wouldn't five date ideas that wouldn't cost a penny be extremely helpful, right about now? Of course, they would. Even if you were loaded with cash, five date ideas that wouldn't cost you a penny would be helpful! Below you'll find just that. Take a walk on the beach. The very idea of a romantic walk on the beach, the moon riding high in the sky while the surf pounds in, will give almost any woman a shiver of delight. Better yet, it won't cost you a single penny! Find the highest point in your city, and watch the stars. If you own a telescope, you could even bring that along. You and your date could watch for falling stars streaking the night skies or just enjoy each other’s company, while the stars glitter in the sky above. It will also give you a great opportunity to talk. Go for a hike. If you live near a trail system, you're set up for this great date idea. You could pack a picnic with the food you already have in your cupboards and refrigerator, and wow her with your thoughtfulness. You could also bike the trail, if you prefer. Along the way, you'll see some fantastic sights, be able to enjoy the great outdoors and have a wonderful chance to talk to each other. Whatmore could you possibly want for just the cost of food you already have? This may sound cheesy, but I would bet your date would find it hilarious and entertaining. Set up your own puppet show or skit. You can use things you already own, such as old fabric, socks or scraps of wood. Be creative, take the time to jot down some ideas, and away you go. You could even spruce it up some, by taking your show on the road. Set up a romantic campfire in your backyard and dazzle her with your creative genius! Read some romantic poetry by candlelight. Create a circle with the candles, and have her sit in the center of your circle with you. She'll soon be snuggling in your lap, and lauding your sensitivity, and it won't cost you a single penny. Now that you're armed with five great date ideas that won't cost a penny, what are you waiting for? Go get her, Tiger!